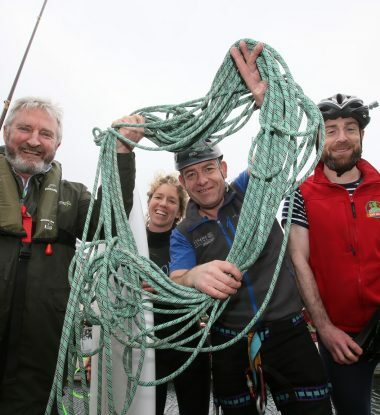 Ireland’s Association for Adventure Tourism (IAAT), an independent representative body for the adventure tourism sector on the island of Ireland was launched Wednesday 11th April 2018). The Adventure Tourism sector is estimated to be valued at €1.2 billion and is one of the fastest growing and most exciting sectors within the Irish tourism industry. The aims of the IAAT are to work with adventure tourism operators to grow the sectors profile and to develop the sector in a sustainable and responsible manner. Speaking at the launch, IAAT Chief Executive, Mike Jones said that the formation of the IAAT began in early 2017 when several leading adventure tourism providers met to discuss how to develop what is a diverse and dispersed sector. Welcoming the launch of the IAAT, Orla Carroll, Director of Strategic Development at Fáilte Ireland said that Fáilte Ireland’s vision is for Ireland to be recognised internationally as a world-class, year-round activity destination. Mike Jones concluded by saying that the formation of the IAAT is a key step in the evolution of adventure tourism in Ireland. Further information on the IAAT and how to apply for membership is available at: www.iaat.ie. Members will be able to access a range of benefits including exclusive networking opportunities, training opportunities and discounted services and products.